When it comes to brownies, I don’t kid around. This is serious business. 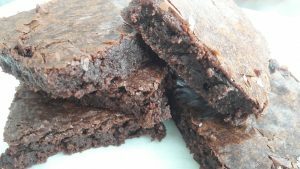 There are many good brownie recipes out there. 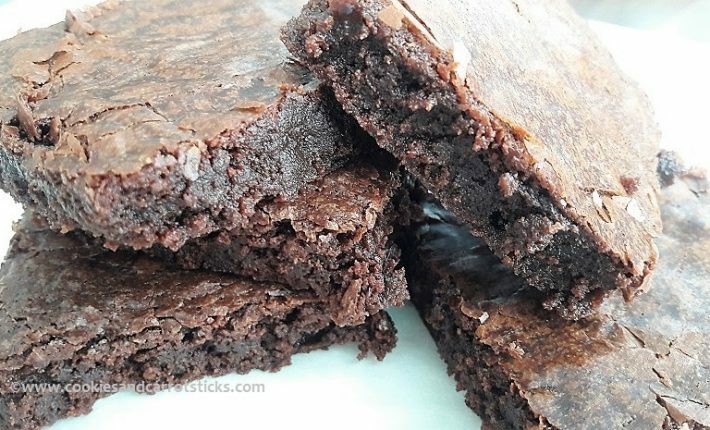 Almost all claim to be the best brownie recipe there is. Now you can’t argue about taste. What you like best, is very personal. 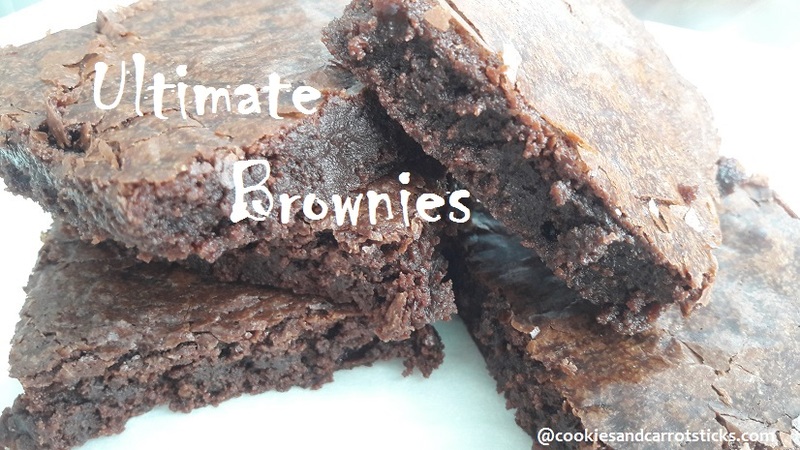 There are actually several brownie recipes I use over and over again. Which one I use, depends on the result I want to achieve. 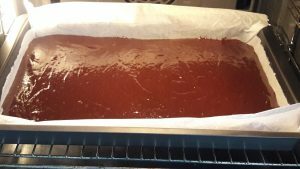 Small batch brownies, brownies for a crowd, do I want to frost them or not, incorporate cookies, peanut butter, cream cheese, fruit… Or use alternative ingredients to fit a certain diet? Gluten free, low-carb, dairy free… All good and delicious in their own way. 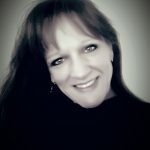 So, what are you waiting for?!?! Run to your kitchen and set your oven to 160°C. 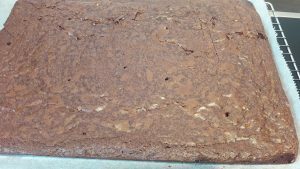 Line a large baking pan with parchment paper (I used a 26,5×38 cm/10.5×15″ pan). 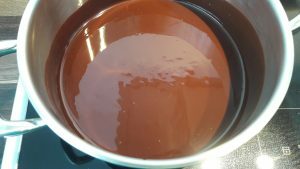 Then melt 400 g (ca. 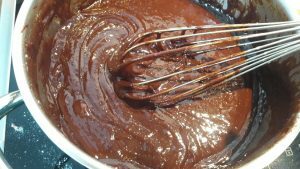 2 cups) semisweet chocolate chips and 250 g (ca. 1 cup) unsalted butter in a sauce pan over low heat, stirring regularly, until everything is melted and smooth. 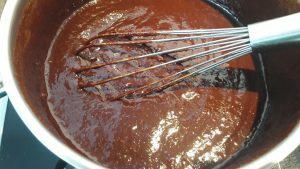 Take the pan off the heat and whisk in 200 g (ca. 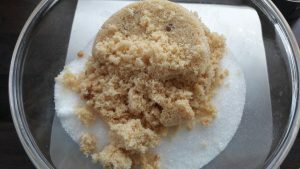 1 cup) of white sugar and 100 g light brown sugar (ca. 1/2 cup). 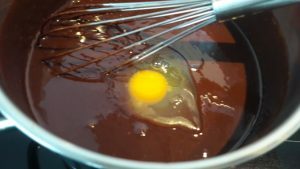 Whisk in 4 eggs and 1 tsp vanilla extract. Then whisk in 150 g (ca. 1 cup) all purpose flour and 1/2 tsp salt. Preheat your oven to 160°C and line a large baking pan* with parchment paper. 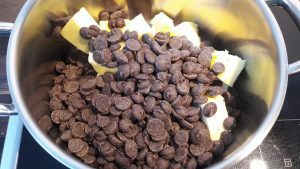 Melt the chocolate chips and butter in a sauce pan over low heat, stirring regularly, until the all has melted. 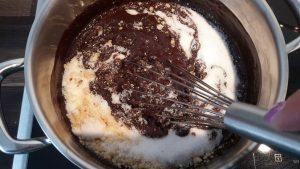 Take pan off the heat and whisk in the sugars. Whisk in eggs and vanilla. Then whisk in flour and salt. * I used a 26,5x38 cm (10.5x15") pan. If using a smaller or larger baking pan, you may need to adjust your baking time. Fijn dat je weer kwam meedoen met crea-cross, Nicole. Heerlijk! Ik krijg er trek van als ik de foto’s zie En af en toe even lekker genieten hoor! Ik snap wel dat dit jouw favoriet is! Lijkt mij ook heerlijk!